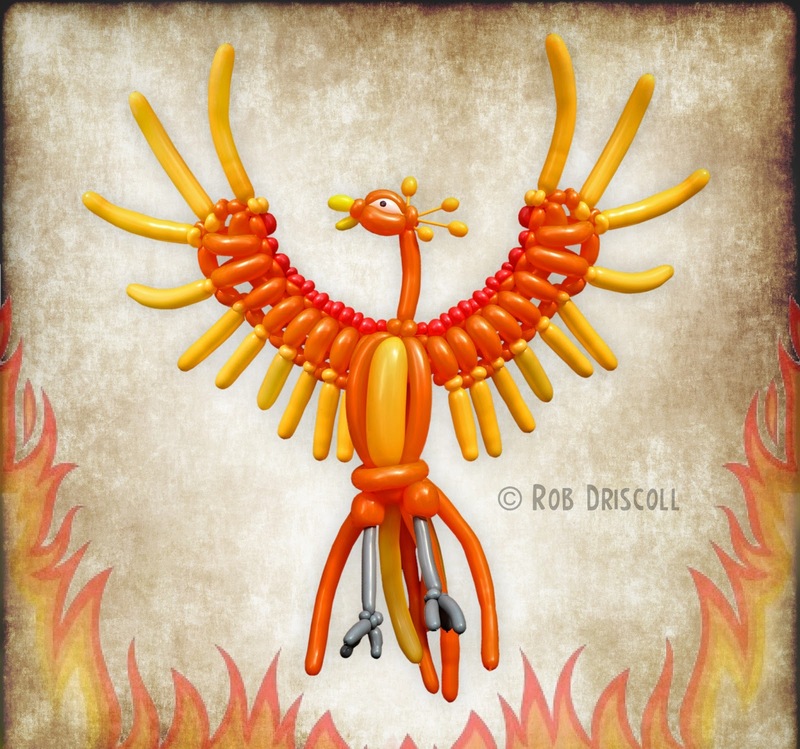 Here is my second mythological creature and my largest model so far, it is a phoenix, I was inspired to make this after someone made their own version of a phoenix on a balloon forum recently. It is made from 41 balloons, mainly 260 sized balloons but there are a few 350s in there, for the body and the tops of the legs, also I used a 160 balloon for the feet and the lower part of the beak. I started with the wings, building a flat weave that slowly curved upwards, I then added the red and threaded another balloon through the middle, the last thing to do with the wings was to add the yellow feathers. Next I made the body which it just 4 x 260s wrapped around a 350, adding in the wings at the same time. I then made the head and neck adding in the crest and beak and then the eyes. The last thing to do was to add the tail and legs.